Whatever you build will look great on the frontend. Forms merge with your themes amazingly and you can design them to perfectly blend in with your site. Build unlimited forms. Create as many variations you want, unleash your creativity. 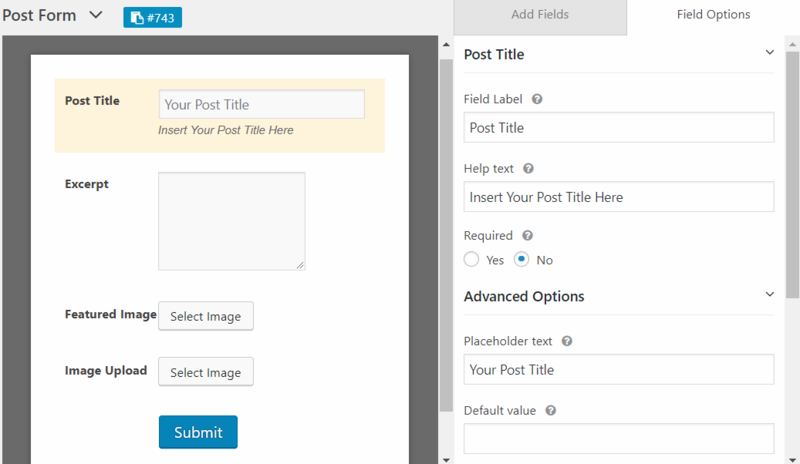 WP User Frontend supports custom post types. 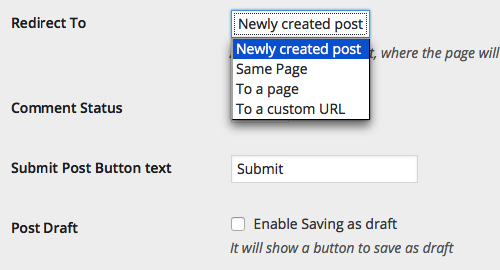 So you can create any types of posts/pages/custom post types on the fly from the frontend. Add your custom taxonomies to the form. Use them as Drop-down, Multiselect, Check-box List. 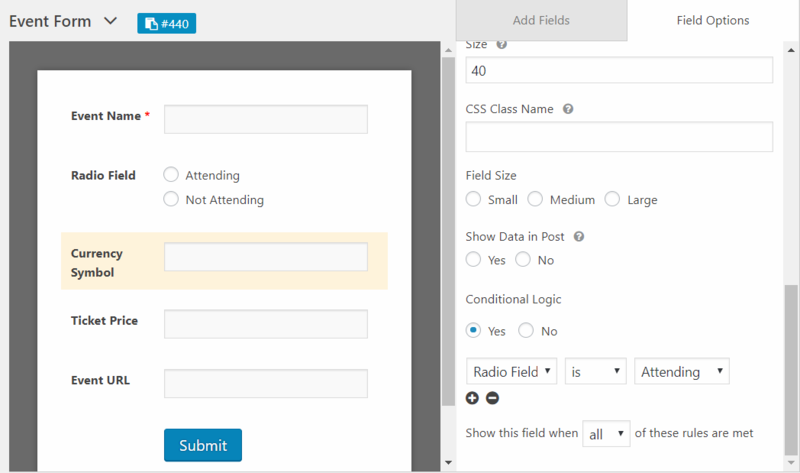 Create as many custom fields your form needs. 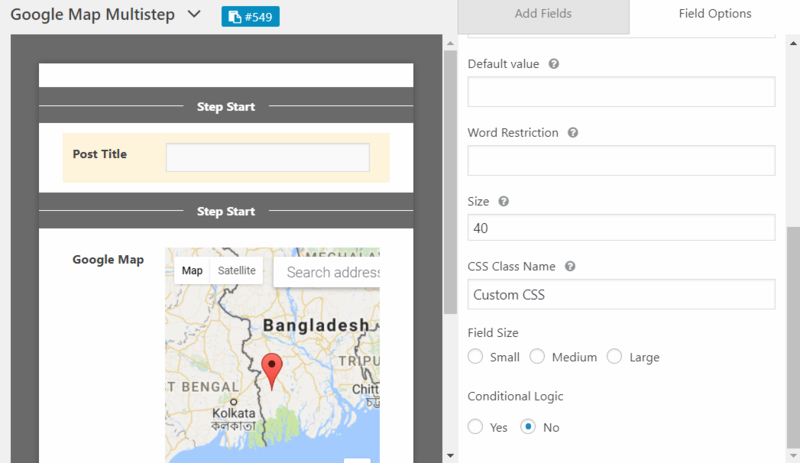 Choose your custom fields from our 13 predefined field types. 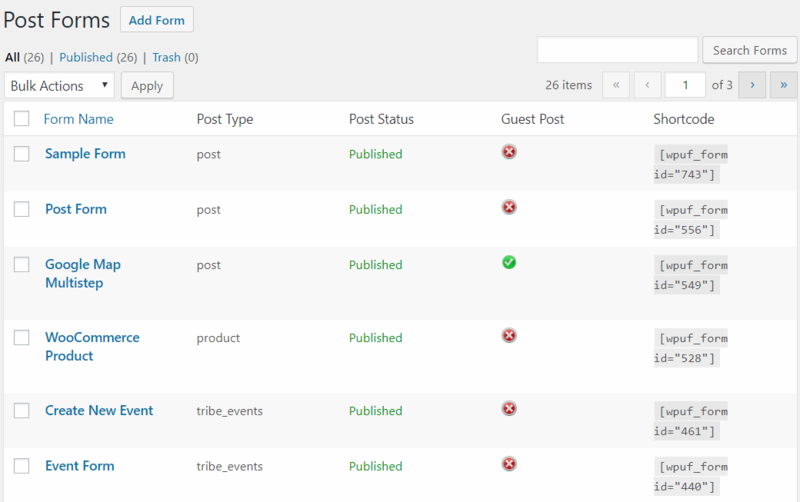 WP User Frontend now supports guest posting. 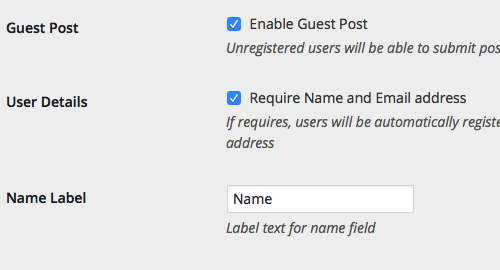 Now your users can post to your site without registering themselves. 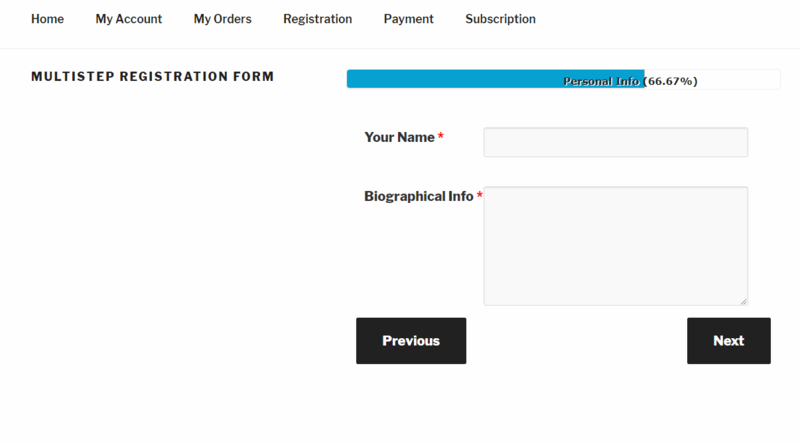 It has also the feature to auto register the guests by their provided name and email address. Redirect the users to a page, a custom page or show them a flash message after successful post submission. You/your users love to share image? 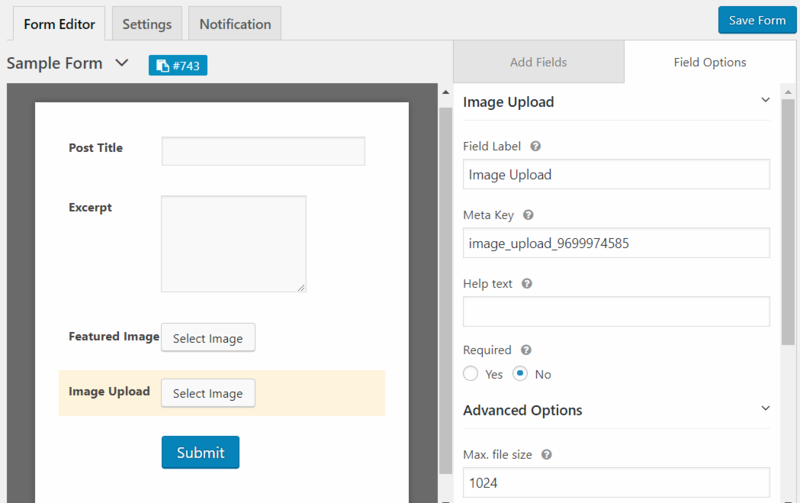 No problem at all, they can now insert images to the post content on the fly ajax image upload. Set your desired post status when a user submits a post. Even you can set the post status when the user edits his post. Maybe set to pending when a user edits his post and you want to moderate? Depends on you! Help your users with examples, default values inside the fields and field titles. Form elements programmed with logics can adapt as an user enters data from the frontend. Break down longer forms into smaller segments which the user will progress only one page at a step. Not only this will keep the viewport of the form within your required space but also simplify the form for the users. You can enter your custom CSS on any field while building the form. This lets you change the appearance of any field without taking the extra hassle. Get notified when a user submits a post, even be notified when he edits his post. You can get all the post information in the mail without checking your site dashboard. 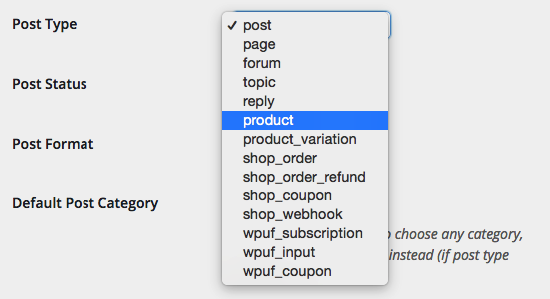 Post title, content, excerpt, tags, category, any custom fields are supported in the mail. Awesome, right? What could be more awesome when you can insert a action_hook in any place of the form and render the content from outside of the plugin. Yes, I am talking to you developer!. Who can even think that posts status and expiration can be manage automatically. 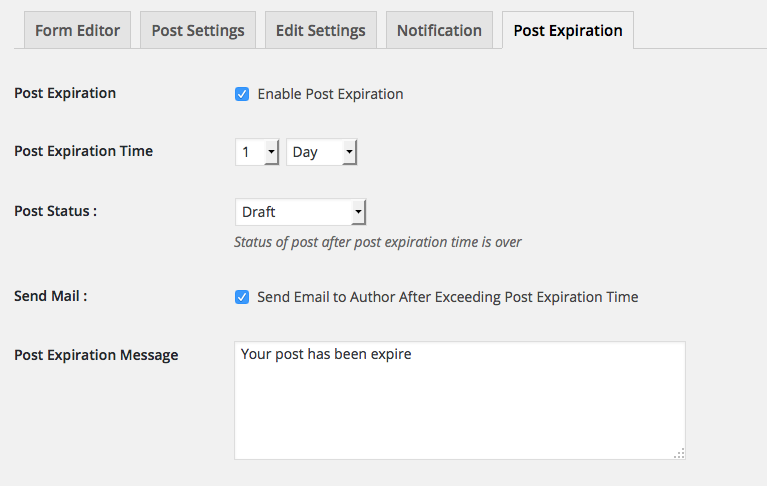 Yes you can manage your posts expiration from this form settings set date when the post will expire and what will be it's status. Did you thought you can only use the custom fields in the frontend? 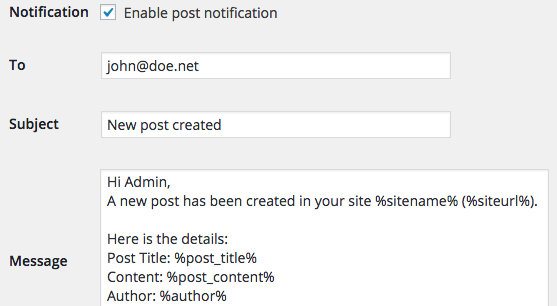 What happens when you want to edit the post from WordPress admin panel? Oh, don't worry, we got you covered. The same custom fields UI is also generated for the admin panel, so you could edit the same way you would in frontend. 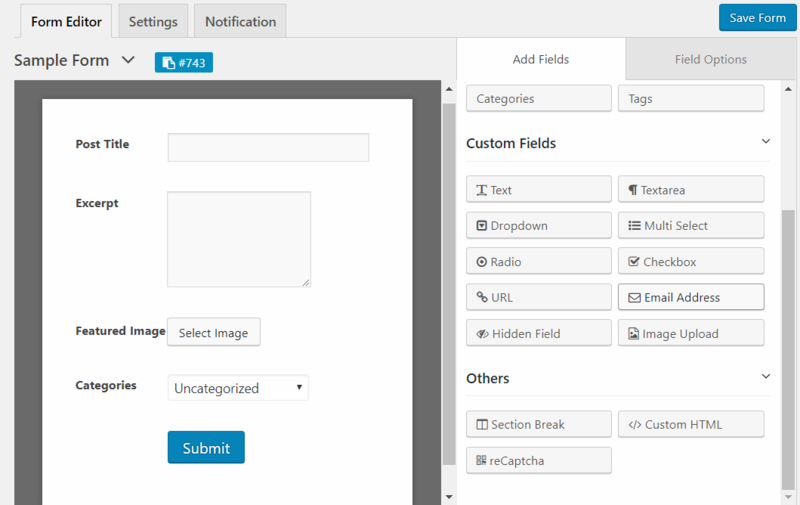 WP User Frontend is the most powerful plugin for your users to submit and edit contents from the WordPress frontend.